This is our flyer. Learn more about us! This flyer is written in german. English fans can have a look at our old flyer. This is our Team Description Paper. Read more about our team, our achievements, goals and some technical details. 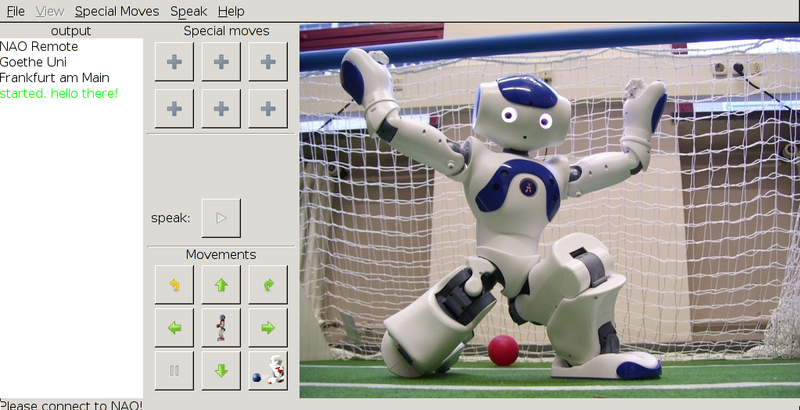 Nao Remote is a tool to control the Aldebaran Nao robot. It is entirely written in Python (Gtk) and should be platform independent. Relying on the middleware NaoQi provided by Aldebaran Robotics it is intended for owners of the Nao robot, but works with webots-simulator too. – the Webots simulator (using the NaoQi plugin). but may also run on other platforms supported be NaoQi. Nao Remote Mobile is the little brother of the aforementioned NaoRemote. Since it cannot run the NaoQi itself, we’ve written a tcp server running on nao, and the tcp-client running on the mobile device. 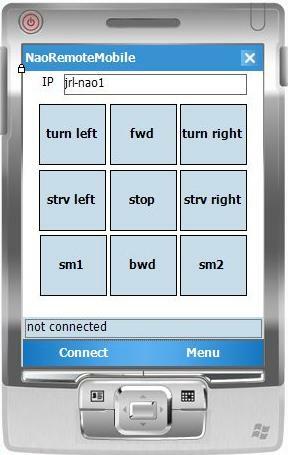 With this remote you can only send simple movement commands (fwd,bwd,left,right,stop), and two special moves.